With publisher co-ops popping up across the big European markets, it would seem logical that smaller markets would follow suit. ExchangeWire spoke to Matej Novak, MD, Czech Publisher Exchange about the new publisher initiative and how it will work in a small market like the Czech Republic. Why build out this proposition now? Market forces? Pressure from AdX and FBX? Requests from agency trading desks? We started working on this proposition about a year ago, because we believed RTB and programmatic are a huge opportunity for premium publishers and as a response to the continued rise of Google from a share of plan perspective. We knew that in order to compete effectively, we had to come together to offer the scale/reach, a collective data offering and better efficiency. In terms of the dynamic of the Czech market, how much digital spend is via programmatic? Can you give some overview on what publishers are involved in this consortium? We are all premium publishers, and there are five initial stakeholders, including Centrum Holdings, Mafra, Mladá fronta, Ringier Axel Springer and Sanoma Media Praha. We have number two and three on the Czech market. What kind of inventory will be available through the co-op? Just graphical display? Video? Mobile? Right now it is just display, but we will be adding other channels as they become more important to the market. Will you sell everything (premium, non-premium) via RTB, or will this be a remnant sales channel? That starts to beg the question as to what is premium versus non-premium. 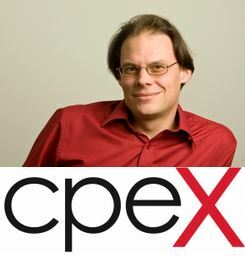 However, given the members of CPEx are all premium publishers, I would argue that it is all premium web properties, just inventory that, historically, hasn’t been sold by the direct sales team. We don’t put all the ad formats into an open auction, however, unlike other national cooperatives, we are enabling publishers to offer property-specific packages, including premium formats in private marketplaces rather than just bundled, run of network offerings. How will you manage potential sales conflict? In the open auction we offer ad space with masked URLs categorised into three categories by quality of the media. We believe this product is great for performance marketing, as we have large scale and good quality inventory. For branding, there is still the direct sales channel, including private marketplaces. How will you manage so many publishers with different objectives and goals? We managed to find agreement on all the important points and in the process we have built trust in each other. We know we have to make compromises and we know that even if the solution is not perfect for each one of us, finding an agreement will be beneficial for all of us, because as single publishers it would be really difficult to face the global competition. Is consolidation of premium supply in the Czech Republic a good strategic move for all publishers involved? Why? Absolutely! Together we bring scale and simplify the selling (and buying) process. We believe that through bringing quality inventory to the programmatic space we’ll stimulate the demand and, at the end of the day, get a large share of advertising budgets.